Summary: The congress held 2017 Jining "6501" demonstration nurture business award ceremony, Shandong China Transport by virtue of the city's electronic information industry and the integration of the two areas made outstanding contributions to this award, China Transport Deputy General Manager Guan Cheng Hui On behalf of the group to accept the award. It is reported that "6501" cultivation project means that from 2017 to 2021, Jining City, focusing on fostering electronic information manufacturing, software and information services, the integration of two models of each 50 business, built 50 smart production lines, research and development production of 50 high-end Smart products (equipment), supervise the construction of 50 key projects in the information industry, guide the construction of a smart demonstration industrial park, and strive to 2021, foster sales of over 10 billion yuan business 1, 5 billion business 4, 20 to 10 billion enterprises, 50 to 1 to 1 billion enterprises. Bred out 10 in the country has a certain high-profile brand awareness of smart products or equipment. The congress held 2017 Jining "6501" demonstration nurture business award ceremony, Shandong China Transport by virtue of the city's electronic information industry and the integration of the two areas made outstanding contributions to this award, China Transport Deputy General Manager Guan Cheng Hui On behalf of the group to accept the award. It is reported that "6501" cultivation project means that from 2017 to 2021, Jining City, focusing on fostering electronic information manufacturing, software and information services, the integration of two models of each 50 business, built 50 smart production lines, research and development production of 50 high-end Smart products (equipment), supervise the construction of 50 key projects in the information industry, guide the construction of a smart demonstration industrial park, and strive to 2021, foster sales of over 10 billion yuan business 1, 5 billion business 4, 20 to 10 billion enterprises, 50 to 1 to 1 billion enterprises. Bred out 10 in the country has a certain high-profile brand awareness of smart products or equipment. At the meeting, the director of Municipal Commission of Economy and Information Technology Commission Wang Youbing conducted in-depth communication on the spirit of the conference on economy and informatization in Shandong Province. 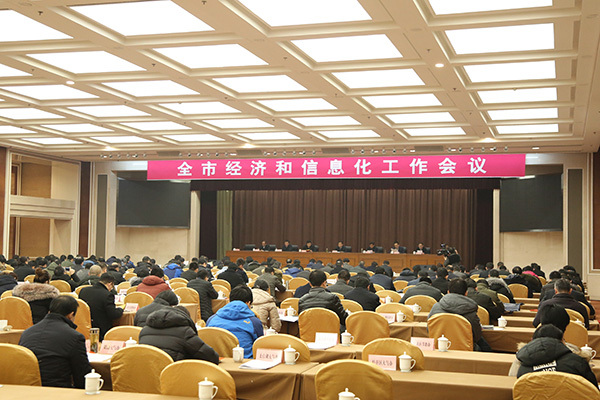 On January 18, Shandong Province Economic and Informatization Work Meeting was held in Jinan. 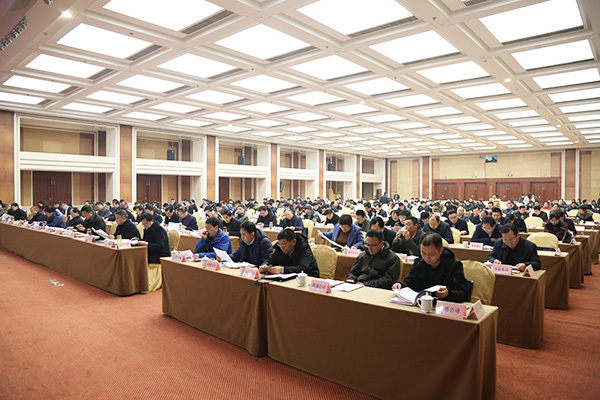 It comprehensively summarized the situation of trustworthy work in the province in 2017, accurately grasped the new requirements of the new era and new situation, arranged the deployment of key tasks in 2018 and mobilized the entire province economy The staff and workers of the letter system should closely unite around the Party Central Committee with Comrade Xi Jinping as the core. We should keep in mind the mission of our mind, keep our mission in mind, and promote the transformation of old and new kinetic energy in industry and informatization with a high spirit. We should speed up efforts to build a strong province and strive to build a new industry , Promote the province's innovation and development, sustainable development and leading development. In recent years, Shandong China Transport actively respond to national policies to accelerate the development of intelligent terminal industries, and actively promote industrial restructuring and upgrading, investment in the establishment of China Coal Smart Robot Industrial Park, the introduction of foreign advanced robotics technology concept, the development of high-end intelligence for China Products, has successfully developed a variety of high-end smart products, such as industrial intelligent robots, restaurant service robots, intelligent home robots, entertainment robots, fire robots, high-tech unmanned aerial vehicles, 3D printing equipment and intelligent security equipment. Shandong Province and even the rapid development of intelligent terminal industries! At the same time, our group adhered to the development strategy of "manufacturing and Internet convergence", vigorously developed industrial supply chain e-commerce, successfully transformed from the traditional sales model into a modern e-commerce sales model, and became the nation's successful transformation of traditional enterprises through the e-commerce information industry Industry model, walk in the forefront of the development of the national information industry, has been named the Ministry of Industry e-commerce integrated innovation model enterprise, the 2016 China two fusion innovation practice award, Shandong Province, two fusion management system standardization pilot enterprises, Shandong Electronics Business demonstration enterprises, e-commerce outstanding enterprises in Shandong Province, Jining City, focusing on cultivating the integration of two cultures and other enterprises, many times by the state and provincial leaders spoke highly of the promotion of the national informatization and industrialization of the profound integration of development made outstanding contributions! 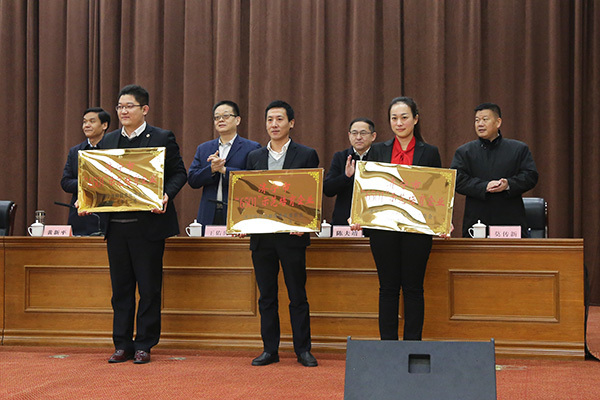 Deputy General Manager Guan Chenghui always expressed his thanks to all leaders of Jining City Commission for their support of the development of China Transport over the years. As an integrated demonstration enterprise for e-commerce in the Ministry of Industry and Information Technology, the 2016 China Innovation and Merging Practice Award, the integration management system of Shandong Province, Pilot enterprises in Shandong Province, e-commerce demonstration enterprises in Shandong Province, e-commerce outstanding enterprises in Shandong Province, Jining City, focusing on cultivating the integration of two cultures nurture enterprises in 2018, China Transport will be closely linked to the municipal government to determine the objectives and tasks and strategic layout, speed up Enhance the application of information technology group, and strive to make more achievements in the new year, for the city's rapid economic and information development to make more positive contributions!